One of my all-time favorite makeup artists, @hellofritzie, created this stunning look using the ALL NEW Motives Iconic Palette. Prep the eye and apply Motives Eye Base all over the lids. 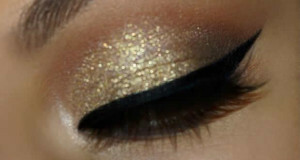 Apply Motives eye shadow in LEGEND (from the Iconic Palette) above the crease as a transition shade. Next, apply Motives eye shadow in INFLUENCER (from the Iconic Palette) on the crease. 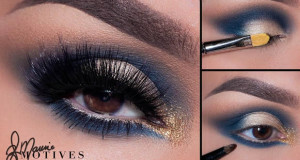 Follow that with Motives eyes shadow in STAR POWER (from the Iconic Palette) on the lid. 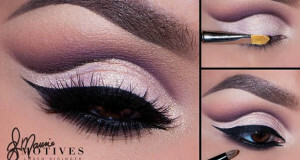 Apply Motives Khol Eyeliner in BARE on the waterline. 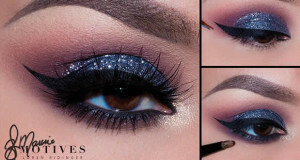 To finish up, apply Motives eyes shadow in STAR POWER (from the Iconic Palette) on the lower lash line. The Motives Iconic Palette features eight eye shadows, one shimmery bronzer, one shimmery blush and four lipstick shades.